The Democratic-controlled US House of Representatives voted on Friday to restore funding for federal agencies that have been shut down by a fight with President Donald Trump over border wall funding, as some 800,000 government workers, from tax collectors to FBI agents, missed their first paycheck. 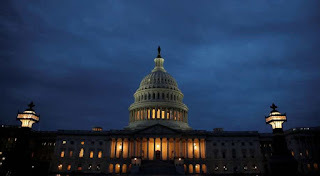 But a full resumption of government operations did not appear in sight because Senate Republican Leader Mitch McConnell has said he will not bring the House bill up for a vote. Republicans who control the Senate have so far stood with Trump and insisted that any spending bills include money for his wall. The House bill, which passed 240-179 with only a handful of Republicans supporting it, would restore funding for the Interior Department and the Environmental Protection Agency, two of the agencies that have been without funding since December 22 amid the standoff over the proposed wall along the US-Mexico border. The bill provides $35.9 billion in discretionary funding, $6 billion above Trump's budget request and $601 million above the fiscal year 2018 enacted level. Facing the prospect of the longest US government shutdown in history, Trump has said he might declare a national emergency to bypass Congress to get funding for his wall, which was a central promise of his 2016 presidential campaign. "Humanitarian Crisis at our Southern Border," Trump said on Twitter on Friday, a day after he visited the Texas-Mexico border. "I just got back and it is a far worse situation than almost anyone would understand, an invasion!" Entering its 21st day, the partial shutdown on Friday tied the record for the longest in US history. Some 800,000 federal workers did not receive paychecks that would have gone out on Friday. Some have resorted to selling their possessions or posting appeals on online fundraising outlets to help pay their bills. 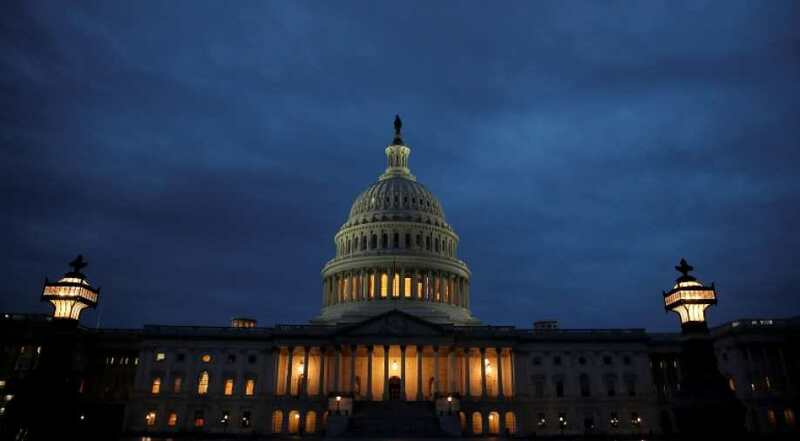 House approves back pay The House also passed a bill by a bipartisan vote of 411-7 that would provide back pay to federal workers once the shutdown ends. That legislation, which has already been passed by the Senate, now heads to Trump's desk to be signed into law. During his presidential campaign, Trump repeatedly pledged that Mexico would pay for the wall, which he says is needed to stem the flow of illegal immigrants and drugs. But the Mexican government has refused and Trump is now demanding that Congress provide $5.7 billion in US taxpayer funding for the wall. A close Trump confidant judged the time for such a step had come. Republican Senator Lindsey Graham said in a statement: "It is time for President Trump to use emergency powers to fund the construction of a border wall/barrier. I hope it works." Critics of the national emergency strategy have said it may be illegal. In any case, it was almost certain to trigger an immediate court challenge from Democrats, including an accusation of trying to circumvent Congress' power over the national purse strings. An emergency declaration would come with risks. Even some of Trump's fellow Republicans in Congress have signalled worries about such an action. Given that the Constitution gives Congress the power to set spending priorities and appropriate money, they worry about a tough legal fight and an unwise precedent. "I don't think he should do that. It's a bad precedent," Republican Senator Chuck Grassley said on CNBC. "It seems to me that An emergency declaration, however, would allow the government to be fully reopened while the judges weigh the case, which could take months. Before the shutdown began, Trump said he would be "proud" to close the government over the issue of border security and would not blame Democrats, although he later did.